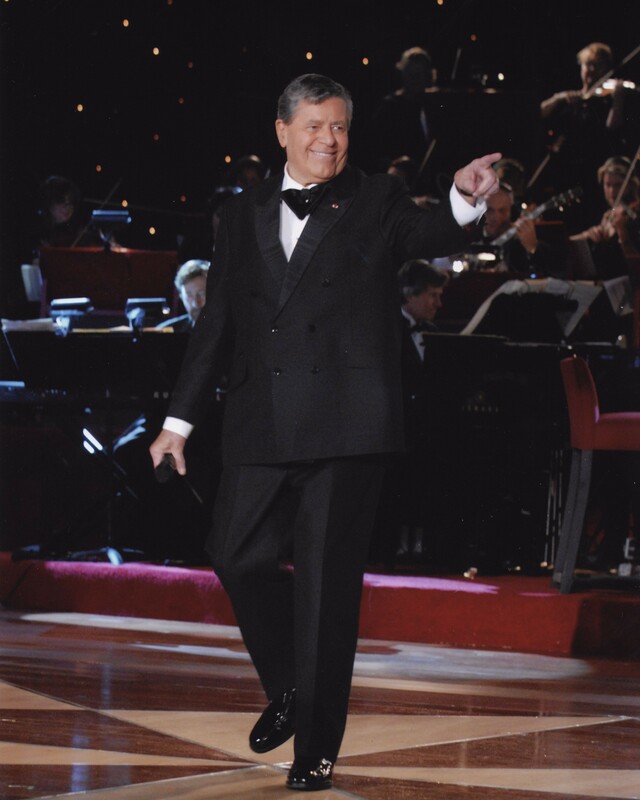 WASHINGTON, D.C. -- The National Association of Broadcasters (NAB) announced today that Jerry Lewis, renowned entertainer and humanitarian, will receive the NAB Distinguished Service Award (DSA) during the 2015 NAB Show. Lewis will accept the award at the opening keynote session, sponsored by Blackmagic Design, on April 13 in Las Vegas. "Jerry Lewis's slapstick brand of comedy has entertained audiences for decades, and his contributions to the entertainment industry are immeasurable," said NAB President and CEO Gordon Smith. "We are honored to recognize not only his comedic innovation, but also his remarkable philanthropic efforts that have bettered the lives of thousands of children." Each year, the NAB DSA recognizes members of the broadcast community who have made significant and lasting contributions to broadcasting. Previous award recipients include Jorge Ramos, Bob Schieffer, Michael J. Fox, Mary Tyler Moore, President Ronald Reagan, Edward R. Murrow, Bob Hope, Walter Cronkite, Oprah Winfrey and Charles Osgood, among others. Lewis is one of the most successful entertainers in history, having appeared in more than 50 films, 13 television specials, three television series, an NBC radio show and the Broadway hit "Damn Yankees." Examples of his films include "The Nutty Professor," "Who's Minding the Store?," "The Disorderly Orderly," and "The Ladies Man." Additionally, Lewis has authored four books, been the hero of a comic book series and recorded numerous records. His groundbreaking comedic work has landed him two stars on the Hollywood Walk of Fame, the Governor's Award at the Emmy Awards, a Career Achievement Award from the Los Angeles Film Critics Association, and a Lifetime Achievement Award in Comedy at the American Comedy Awards, among others. Off camera, Lewis is a dedicated philanthropist. As national chairman of the Muscular Dystrophy Association (MDA), he raised over $2 billion for patient care and research and helped coin the popular phrase "Jerry's Kids." Also, Lewis founded the MDA Labor Day Telethon, which is the highest-grossing charitable fundraising program in the history of television. On two occasions, he has been nominated for the Nobel Peace Prize. Lewis currently resides in Las Vegas and continues to make entertainment appearances, in addition to developing projects for television, film, DVD and stage. The NAB Show Opening will include the "State of the Broadcast Industry" address by NAB President and CEO Gordon Smith.